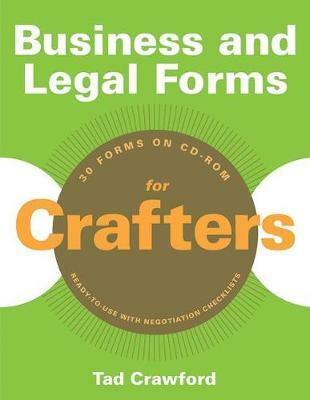 Thanks to websites like Etsy and eBay, the crafts industry has experienced exponential growth in the past decade, and this is the only business-forms book tailored specifically to the needs of craftmakers. This practical and easy-to-use addition to Allworth's highly successful Business and Legal Forms series gives you access to thirty indispensable, current, and ready-to-use forms and negotiation checklists. All of these are made available both in print and on a convenient CD-ROM, so that the forms can be copied electronically, modified, customized, and saved, ready for the crafter's next project. Whether you're a regular at arts fairs, the owner of a brick-and-mortar crafts store, or selling your work on the Internet for the first time, you won't find a more useful tool in your efforts to grow your crafts business!